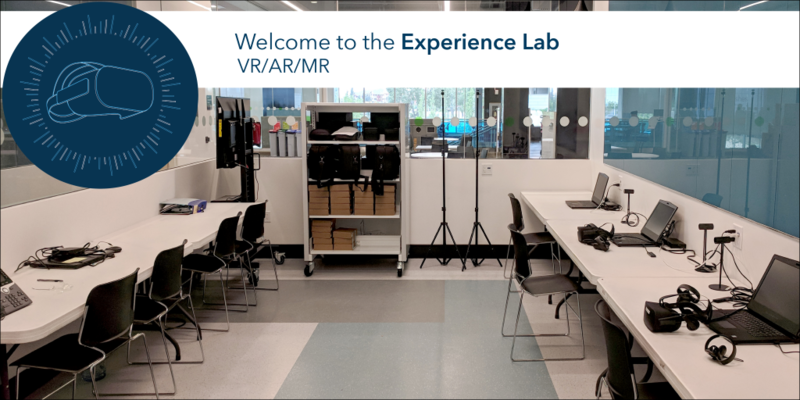 The Experience Lab is a space for the MRU Community to explore VR/AR/MR and we are happy to announce it is now open on the main floor of the Mount Royal University Library in room EL1355—the location of the temporary Maker Studio before it moved into its permanent home. Students, faculty, and staff are encouraged to learn more about this new resource and try out VR/AR/MR experiences during drop-in hours Monday – Thursday from 10:00 AM – 2:00 PM. The hope is that users take an opportunity to use the lab as a research and testing ground and look into the educational potential of existing VR experiences, or develop custom interactive VR content that can enhance current course programming. This is also a space where those who are simply curious about this technology can stop in and try it out, perhaps for the first time, between classes. Not quite sure you understand the difference between virtual reality (VR), augmented reality (AR) and mixed reality (MR)? We’ve created a brief video that demonstrates the features of each one, which we think you’ll find helpful. Learn more about the specialized equipment available in the Experience Lab and helpful information you should know before your first visit, and look out for workshops that will soon be available in the lab.